Today’s Flash Back Friday comes from Episode 210, originally published in April 2014. 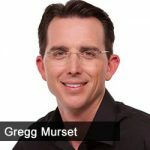 Gregg Murset is the Founder & CEO of MyJobChart.com. He joins the show to discuss another economic crisis out there that isn’t being addressed. Murset discusses where young adults go wrong when dealing with finances and how they can learn about the fundamentals of leadership through MyJobChart.com. Murset then shares some qualities for young adults to become leaders in the workforce and how a young worker can respectfully challenge authority. The conversation finishes with commentary on how parents and educators can prepare young adults as leaders.